For anyone interested in finding ways to promote healthy eating that stimulate local business, the Healthy Incentive Pilot (HIP) is a great model that has been proposed for expansion via the VARIETY ACT. 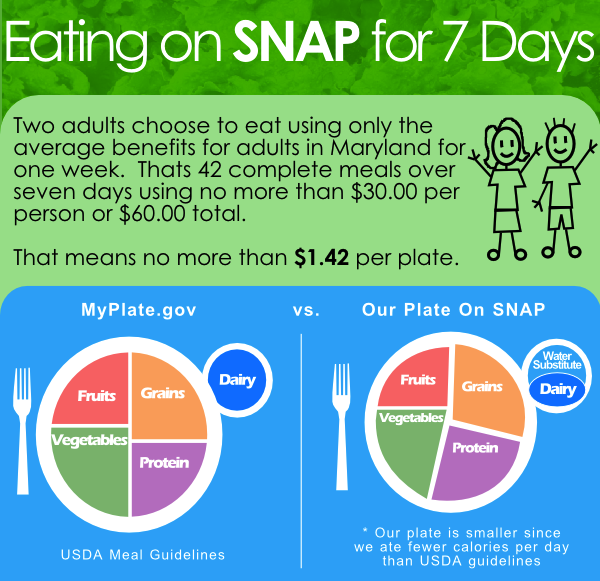 This bi-partisan Vegetables Are Really Important Eating Tools For You (VARIETY) bill proposes amending the Farm Bill to provide an incentive for participants in the Supplemental Nutrition Assistance Program (SNAP) to purchase healthy fruits and vegetables. In the HIP program, SNAP recipients in Hampden County, Massachusetts, received 30 cents back on their electronic benefits transfer (EBT) card for every dollar spent on fruits and vegetables purchased. Participants consumed 25% more fruits and vegetables than control participants, highlighting an opportunity to increase healthy food intake. US adults report eating 1.1 fruits and 1.6 vegetables per day, much less than Dietary Guidelines recommend as they suggest you fill half your plate with fruits and veggies. Low income consumers face additional barriers to eating healthy foods, including price and limited access to supermarkets. The VARIETY bill offers a great way to encourage low income Americans to eat more fruits and vegetables by making them more affordable; additionally the discount will likely encourage more stores to offer these items if demand increases, which aligns with the Vitality Institute Recommendation around making markets work for health. One strong example of a similar principle applied successfully in practice is the Vitality HealthyFood program, which has increased healthy food purchases while decreasing unhealthy food purchases in South Africa and is now being rolled out in the US. In addition to promoting healthier diets, the resulting environmental impacts of the US food system have been highlighted at the Institute of Medicine. While the public health community is for this bill, more support is needed to pass the bill in Congress given the challenges associated with such an achievement. Challengers to the bill may say that we cannot afford to support this bill, although dietary risks are the leading factor in disability and death in the US, according to the Global Burden of Disease report on the State of US Health. Proposing the bill is an important first step for progress, but next we need to encourage Congress to support this opportunity for 46+ million Americans in the SNAP program. For this to happen, lets talk about it  join me @ElleGHAP on Twitter using #VARIETYforHealth or find out who your representative is so you can write to them and help make a difference!